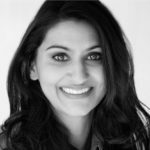 Anjali Talcherkar, M.A., holds a Master’s Degree in Psychology with a specialization in Addiction Studies from Antioch University Los Angeles. She is obtaining a Ph.D.in Integrative Medicine from Saybrook University. Her research is in the area of Complementary & Alternative Medicine (CAM) in addiction treatment. Anjali has collaborated with neuroscientists at UCLA’s Center for Addictive Behavior, investigating how yoga-based relaxation techniques and meditation aid in recovery from addiction, and has also assisted at Cambridge Health Alliance’s Division on Addiction, through Harvard Medical School. Anjali puts her education and experience into practice working with individuals and families afflicted by addiction. She uses a holistic approach to addiction recovery which fuses clinical skills with Eastern mindfulness techniques. Trained as a yoga and meditation teacher with expertise in Ayurveda, she cultivates insight and awareness to facilitate multi-dimensional healing; her aim is to effect spiritual, emotional, physical, and mental transformation in those she helps. Anjali’s versatility within the field of addiction treatment emanates from years of exposure to various evidence-based treatment programs and from facilitation of both 12 Step and Non-12 Step modalities. Her prior experience includes assisting clients at world-class treatment centers such as, Passages Malibu and DARA Rehab in Thailand. Additionally, Anjali spearheads the WINGS Project (Well Being, Inner-Peace, Non-Violence, Growth & Success). WINGS is a branch of the International Association for Human Values (IAHV), and addresses two separate high-risk demographics: those who are seeking to live free of the cycle of repeat offenses and prison, and, equally importantly, those who are in recovery from addiction. Her own personal recovery journey also motivates and informs her current work. Anjali’s blogs have appeared on rehabreviews.com, AddictionUnscripted.com, Addiction Professional, Fulfillment Daily, and The BASIS (Brief Addiction Science Information Source). Articles By Anjali Talcherkar, M.A.